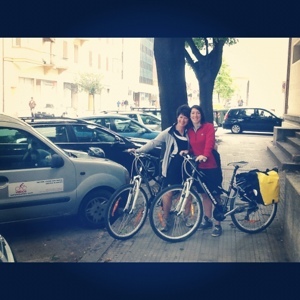 Veloce ® cycling and bike rental company : Hybrid bikes for rent in Bolzano. On the road to Padova. Hybrid bikes for rent in Bolzano. On the road to Padova. Picture shooted this morning during pick up delivery of our high quality Bianchi hybrid bikes at Hotel Regina in Bolzano (located 100mts close central railway station). Our customers are riding to Garda lake, Verona, Vicenza and Padova where our company will collect equipment. 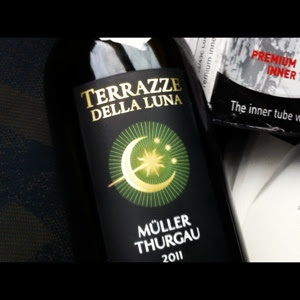 After delivery a little break at local shop to buy local wine of Trentino Alto Adige region : Müller !